PHPMatters today announced the best eCommerce hosting providers in 2015. The providers have helped thousands of businesses get online by offering useful tools, rich resources and responsive support. PHPMatters, a leading PHP resource site, today released a list of the best eCommerce hosting providers in 2015. To work out the list, the editors of PHPMatters tested the uptime, speed and support of more than 100 web hosts. The best providers are InMotion, BlueHost and WebHostingHub. They vary much in pricing, but all of them have been keeping a good reputation in the industry. InMotion, established in 2001, provides shared hosting, VPS and dedicated servers to ensure enough choices for businesses to start and improve their online presence. For webmasters paying for a shared or VPS plan through this exclusive promotional link, the company allows more than 50% discounts. The cost of a business hosting plan is as low as $3.49/mo. In the checkout process, InMotion customers can choose to get PrestaShop installed automatically. They can also install other eCommerce applications like OpenCart and Magento quickly with Softaculous installer. InMotion uses business-class hardware to serve eCommerce sites. Both data centers are housed with Dell servers which are equipped with RAID protected SSD drives. As one of the world's largest web hosting providers, BlueHost offers a full range of products including shared, VPS and dedicated servers. Designed for starters, the shared hosting plans include one domain name, cPanel and SimpleScripts auto installer. Business Pro, the advanced shared package offered by BlueHost, comes with a bundle of eCommerce-friendly features, such as one private SSL certificate, one dedicated IP address and domain privacy. 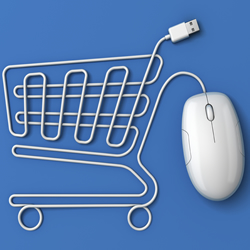 WebHostingHub supports eCommerce sites with both hosting services and website design. The company has scalable solutions among which the primary one costs $3.99/mo only. Besides an application installer, WebHostingHub provides a premium website builder which helps users build a website within minutes. In addition to pricing and feature, the three winners are also highlighted in several other aspects. 1) Outstanding uptime. All the providers promise 99.9% uptime. According to monitoring statistics, they have fulfilled the promise in most months. 2) 24x7 technical support. InMotion, BlueHost and WebHostingHub offer around-the-clock support through phone, live chat and email. Their support teams have been tested to be responsive. 3) Favorable refund guarantee. InMotion and WebHostingHub guarantee to refund users within 90 days, and BlueHost guarantees 30-day full refund and anytime pro-rated refund. For more information, visit https://phpmatters.com/best-ecommerce-hosting/. PHPMatters is a leading online resource for PHP scripts. It has been devoted to helping webmasters build and develop a website with WordPress, Drupal, Joomla and other applications based on PHP.